Did you know you can make peanut butter at home with just one ingredient? 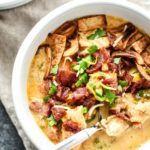 Yes, ONE ingredient! But is the effort worth it, or should you stick with buying peanut butter at the store? 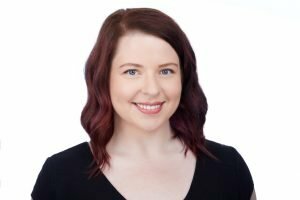 I did some research, made my very own peanut butter, and compared prices to find out. Store Bought vs Homemade Peanut Butter: Which is Cheaper? I’m a big fan of making things at home when it’s cheaper to do so, and not too much of a hassle. 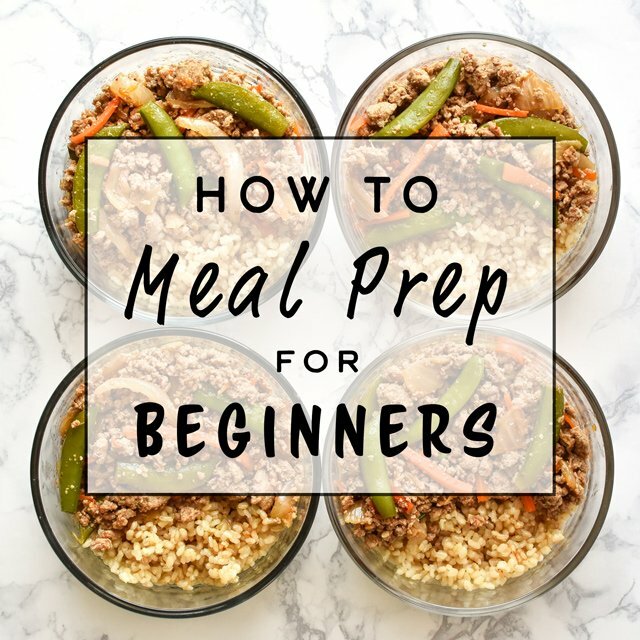 My skills are limited, so normally “making things” actually means cooking or transforming food into a version you would normally think to just buy at the store. Like Greek yogurt, or pesto! I have a bit of a science background, so I’m always down for an experiment, especially in the name of saving money! This time, we’re going deep into peanut butter. And I’ll admit, before doing research for this article, I had never actually made peanut butter at home. We normally buy Jif Natural from Costco because it’s pretty reasonably priced and super delicious. I actually had no idea if it would be cheaper to make at home. So I let the research begin! By making my own peanut butter at home. How do you make homemade peanut butter? Fortunately, this is an incredibly easy process, and you only need a couple of items. All I needed to buy was the peanuts! To make my homemade peanut butter, I bought a 2.5 pound (40 ounces) container of Super Extra-Large Peanuts, Roasted & Salted Virginia Variety, from Costco for $6.79. A Vitamix or food processor is required, and I’ve decided not to factor that price into the cost of making peanut butter for a couple reasons: 1) there are so many different kinds of high powered blenders and food processors that there’s no way to accurately choose a price; 2) most people don’t buy a high powered blender or food processor JUST to make peanut butter, there are tons of other uses. To make my peanut butter, I followed the instructions for Homemade Peanut Butter from Vitamix, which simply calls for 4 cups of unsalted roasted peanuts. I wasn’t able to find unsalted roasted peanuts in bulk, so I decided to just use salted ones I got at Costco anyway (I don’t think it made a difference besides giving me salted peanut butter!). After adding the peanuts to my Vitamix, I immediately installed the tamper in the lid and put it on. Starting the power at low, I quickly increased the speed to 10 (the highest level), and blended for about 1 minute until the peanut butter appeared creamy. Yup, that’s it! Just a tiny but of elbow grease and then you’ve got peanut butter! How much peanut butter did I make? To make my homemade peanut butter, I started with 4 cups of peanuts, which was about 520g (18.34 ounces) of peanuts. After following the steps above, I ended up with about 2 cups total of peanut butter, equaling 16.1 ounces (456g), which I have stored in a pint-sized mason jar. This means a small amount of peanut butter was lost during container transfers (from the Vitamix to the storage container). It’s hard to get every last dribble of peanut butter off from the blades (even with the special scraper) so that’s probably a large part of the loss. How much time does it take to make homemade peanut butter? Ultimately, I would say it took about 20 minutes total of my time to make homemade peanut butter. This includes setting up my Vitamix, making the peanut butter, and then cleaning up afterwards. Not a huge time commitment, which is great for homemade stuff. By the way, this peanut butter might look chunky, but it’s really just extra fresh. Okay, yes, they are small chunks of peanut, but it’s not really chunky peanut butter at all. It’s just how it looks right after blending! I don’t like chunky peanut butter, and this is not chunky at all. 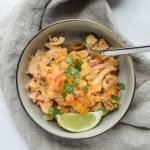 Vitamix does it best! You’re gonna have to use that tamper to keep moving the peanuts around so they blend! According to the Vitamix recipe, you can freeze peanut butter! I’ve never tried this but I’ll have to keep it in mind if we have too much homemade PB! I own this Certified Reconditioned 780 Vitamix blender, if you were curious (not an affiliate link, just showing you what I used!). I’ve never used a food processor to make peanut butter, but it’s totally possible. 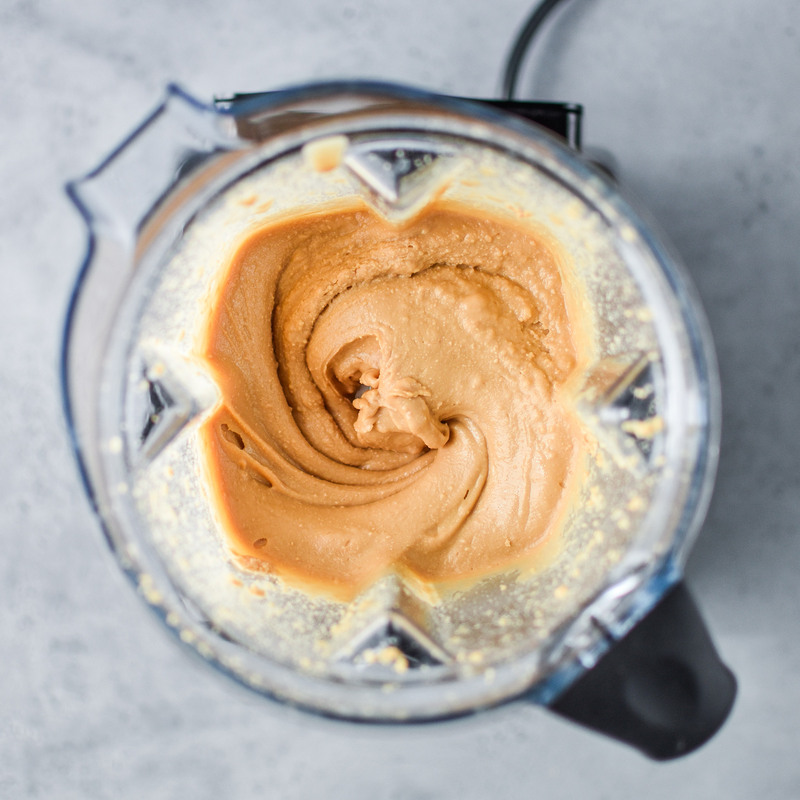 Here’s a great recipe for Homemade Peanut Butter Three Ways in the food processor. Surprisingly, I was unable to find organic roasted peanuts without shells at the regular grocery store or at Costco. I did not check specialty food stores like Whole Foods. How much does it cost to make homemade peanut butter? 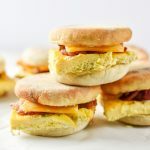 I quickly realized there are quite a few variables to consider when comparing costs of homemade versus store bought prices. Were the peanuts bought in bulk? Do you normally buy organic peanut butter? Are your peanuts organic? 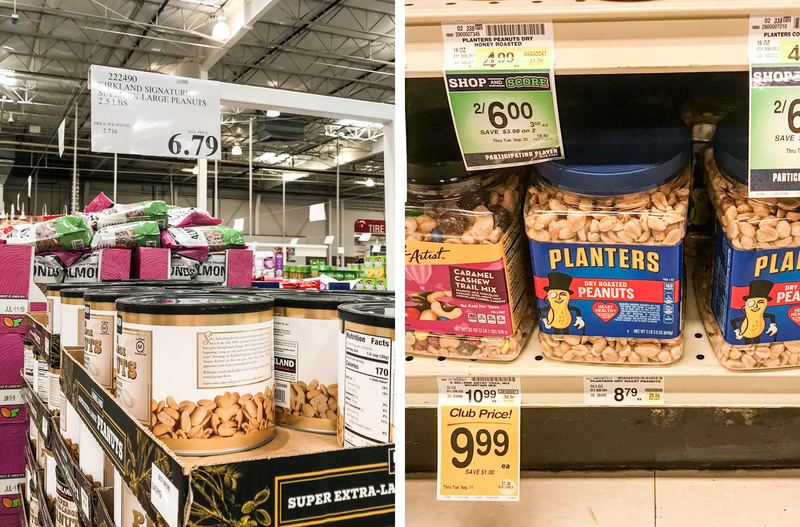 What is the price of peanuts at the grocery store versus buying in bulk? Lots to think about when comparing prices! I’ll do my best to explain multiple scenarios when considering how much it costs to make homemade peanut butter. This is how I did it. 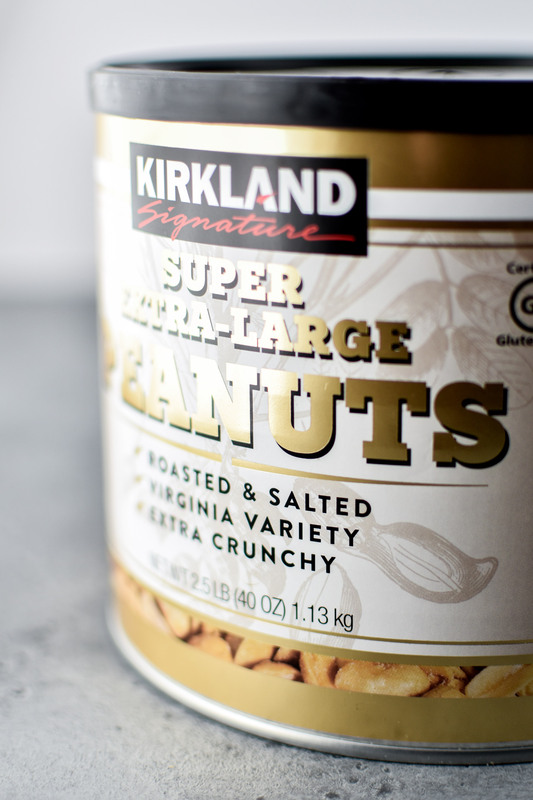 Like I said above, I purchased a 2.5 pound container (40 ounces) of Kirkland Signature brand peanuts at Costco for $6.79 (in Seattle, WA). To make my homemade peanut butter, I used 18.34 ounces (520g) of peanuts. I ended up with 16.1 ounces of homemade peanut butter. That means that 16.1 ounces of peanut butter cost $3.11 to make at home with these peanuts, which equals 19.3 cents per ounce of peanut butter. Homemade peanut butter costs $0.193 per ounce to make with bulk peanuts from Costco. At Safeway in Seattle, WA, you can purchase a 34.5 ounce container of Planters Dry Roasted Peanuts for $8.79 (smaller containers of peanuts only get more expensive). Remember, to make my homemade peanut butter, I used 18.34 ounces (520g) of peanuts. Again, I ended up with 16.1 ounces of homemade peanut butter. That means that 16.1 ounces of peanut butter cost $4.67 to make at home with these peanuts, which equals 29.0 cents per ounce of peanut butter. Homemade peanut butter costs $0.290 per ounce to make with Planters peanuts from the grocery store. How much does store-bought peanut butter cost? 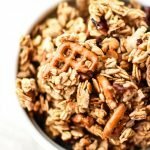 There are several types of peanut butter and tons of variables, so I decided to get the prices of a few different brands/styles of peanut butter so you can compare your closest favorite. Keep in mind these prices are from September 2018 in Seattle, WA. If you’re going to buy peanut butter from the store, buying in bulk is the way to go! Both organic and non-organic peanut butter were cheaper from Costco in bulk than any grocery store brand. But if you don’t have access to Costco or another bulk grocer, Trader Joe’s is the next best option. Their organic peanut butter option is basically the same price as buying regular Jif from the grocery store. 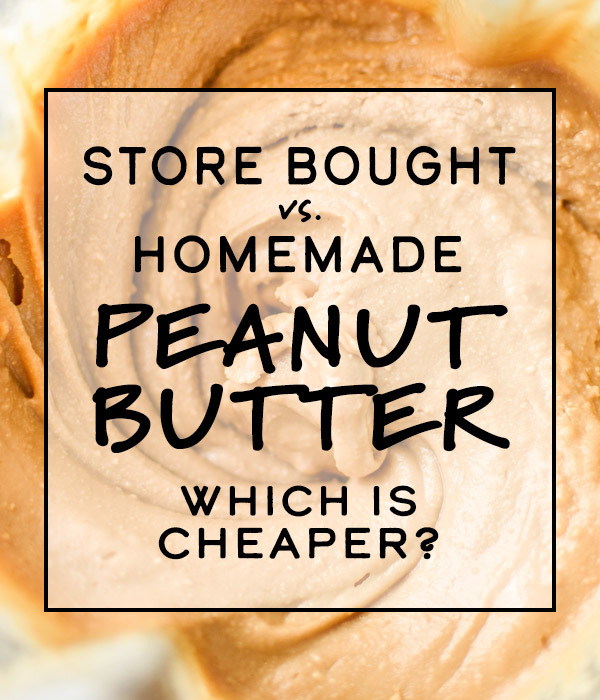 Now to find out: Store Bought vs Homemade Peanut Butter: Which is Cheaper? 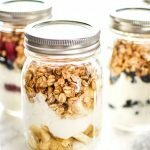 If you’re on a budget and don’t care as much about organic or extra ingredients, buying JIF or a similar brand from Costco or other bulk grocer is the cheapest option by far. 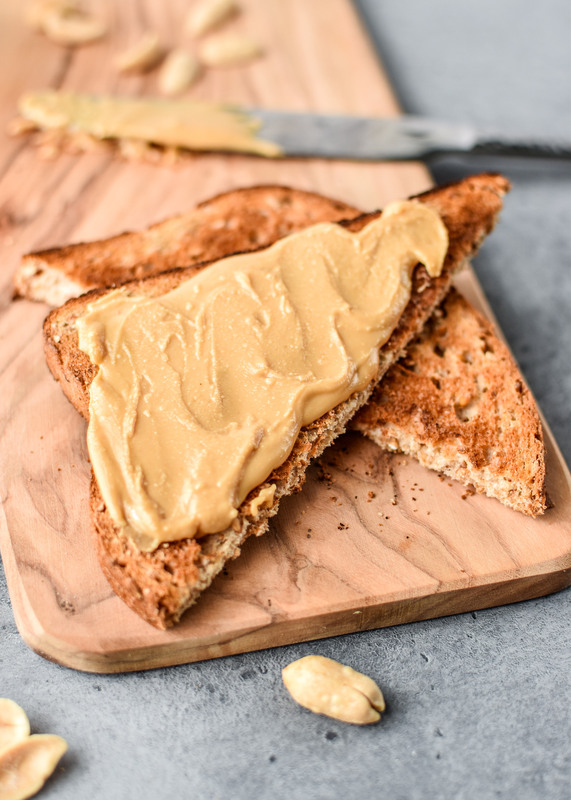 If you want one ingredient peanut butter with no extra sugar or preservatives, making peanut butter at home with peanuts purchased in bulk is the cheapest option. If you want organic peanut butter but do not have time to make it at home or do not have access to peanuts in bulk (check the grocery store bulk foods section for peanuts), you should definitely purchase it at Trader Joe’s for the best price. Based on these prices, I would always suggest making your own peanut butter over buying local, more expensive brands. I think it’s time to start making more peanut butter at home! A simple recipe for one ingredient homemade peanut butter. 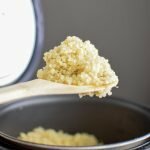 Check out the post for price comparisons! 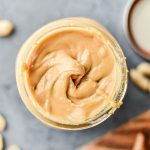 Store bought vs Homemade Peanut Butter: Which is Cheaper? Add peanuts to a high powered blender or Vitamix. Begin blending on low, and then increase to maximum speed. 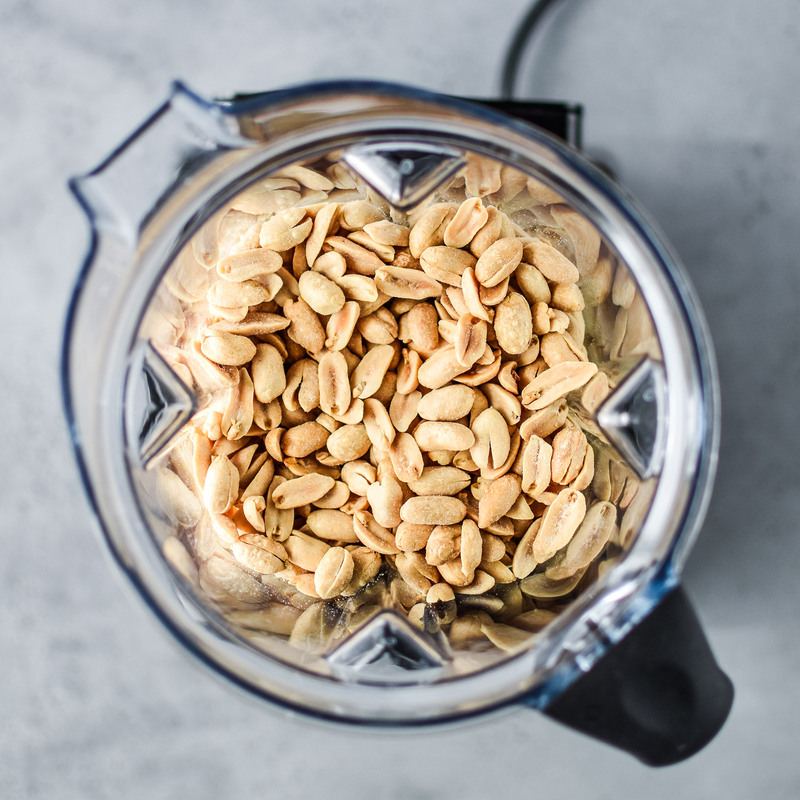 Use the tamper accessory on the Vitamix to help move the peanuts around and blend thoroughly. Blend for about one minute, or until the peanut butter appears creamy. Store in an airtight container for up to 10 days, or freeze for longer storage. Adapted from the original Vitamix recipe for Homemade Peanut Butter. Nutrition information estimated with My Fitness Pal. That’s it for this edition of Store Bought vs. Homemade! Hope this price comparison was useful to you! 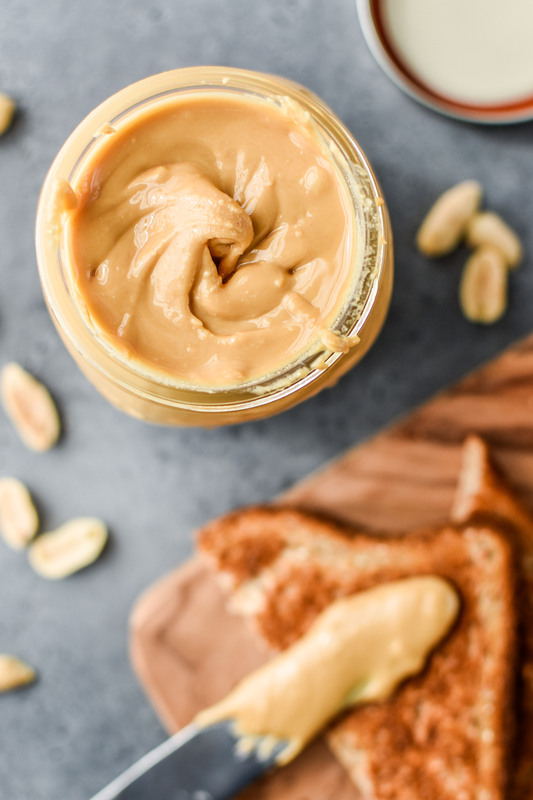 Maybe you’ll start making your own peanut butter from now on… share with #projectmealplan if you do!